A country house of great character, privately situated centrally within grounds approaching 50 acres, and in a superb, edge of village location. Grade II listed and with enormous character and charm the house has been sympathetically and cleverly enlarged and renovated to a high standard. Within the grounds there is permitted development for a substantial barn, with access track, which could provide space for a huge variety of possible uses; equestrian, or additional bespoke garaging for example. (Plans available). It is a comfortable and extremely well appointed family home. There is an excellent mix of both more formal and informal living space blending the old with the new seamlessly. The vaulted kitchen/breakfast room is a unique space with a galleried playroom, or home office as well as an adjoining TV/family room. In addition there is a bright and spacious drawing room, large dining room, and study, as well as a superb games room in the lower ground floor. The bedrooms are all of a good size and have views over the gardens, grounds, and wider surrounding countryside. The master bedroom suite has a wonderful vaulted ceiling, and adjoins its dressing room. There is a beautifully appointed ensuite bath and shower room and a walk in wardrobe. There are 4 further bedrooms upstairs, a family bathroom and a separate shower room. An additional 6th bedroom suite is situated on the ground floor. The long drive approach gives a real sense of arrival. Within the grounds the garages and workshop are a great asset. The house is situated centrally within its grounds, protected on all sides by wonderful pasture and woodland, and there are views to the south west in particular. 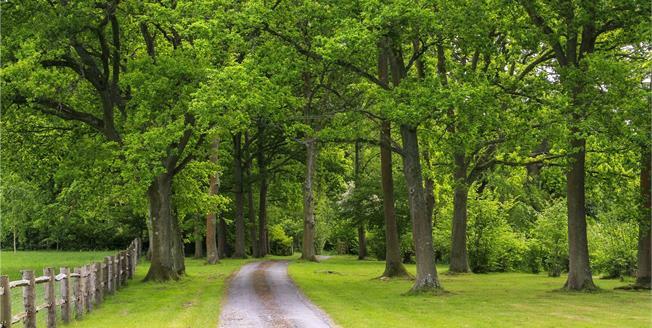 The land which extends to approximately 50 acres includes lawned gardens, hard tennis court, parkland grounds, paddocks, agricultural land and woodland. It is undoubtedly a very special feature and integral to the lifestyle a home in such surroundings can provide. Located in an Area designated of Outstanding Natural Beauty, the property is situated just to the south of the picturesque village of Brook with its cricket green, and popular Dog and Pheasant pub. Witley station is only 2 miles away with regular trains to Waterloo, and the A3 dual carriageway is accessed 4.5 miles to the north at Milford, providing fast driving to central London, the M25, and Heathrow and Gatwick airports. The market towns of Godalming and Haslemere, and the County town of Guildford are all comprehensive centres for day to day shopping and have abundant cafe’s, coffee shops, bars and restaurants. The area is extremely popular for its wide range of public schools including Aldro, Barrow Hills, Bedales, Charterhouse, Cranleigh, Edgeborough, Frensham Heights, Highfield, Guildford High School for Girls, Priorsfield, St Catherine’s, and The Royal Grammar School in Guildford.